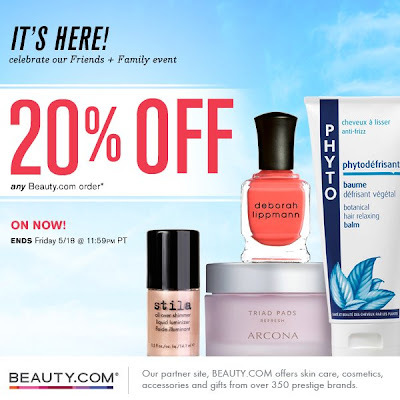 Beauty.com is offering 20% off on everything on their website from now till May 18, 2012. Add things to cart, and you'll get 20% off whatever you buy. Remember, You'll get Free Shipping on orders over $25.